As Gastech gets underway in Barcelona this week, here are three oilfield digitization trends I’m watching. The global oil and gas industry loses $34 billion a year in leaked, vented and flared methane. This not only contributes to climate change, but also poses a reputational risk for the oil and gas industry, which is betting on the role of natural gas in a decarbonizing world. While momentum to reduce methane emissions is building through industry commitments, innovation challenges, and sensible regulations, an underlying problem remains: the way we manage methane today is labor intensive and inefficient. The same year I observed the command center of an American oil and gas company, I spent months shadowing lease operator routes across the United States—and was shocked at the amount of data still captured via paper and pencil. In the field, operators search for methane leaks using handheld optical gas imaging cameras and portable analyzers. These technologies, while highly effective at identifying and quantifying leaks, take time to deploy and expose operators to myriad hazards and safety risks. This “boots on the ground” approach remains the way of doing business, despite exciting growth in the methane detection and sensors space. 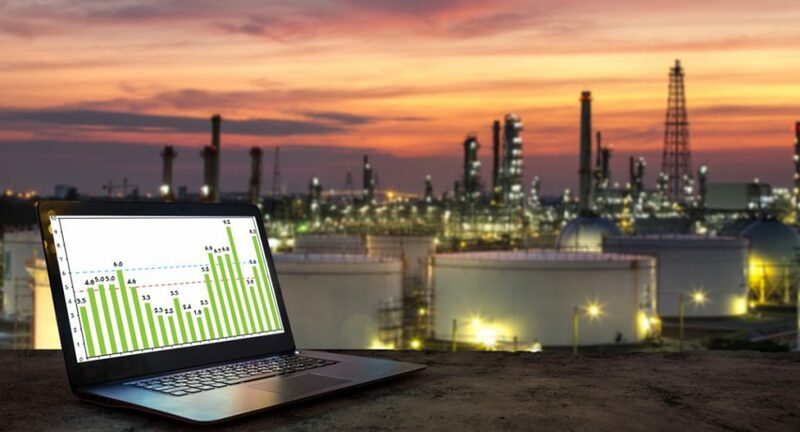 In a recent survey, 40 percent of senior industry professionals said they believe digital tools and technologies have already improved oilfield safety in just the past three years. Transitioning to digital methane management would not only improve worker safety, but also allow us to shift from just finding leaks once they’ve started to preventing them from occurring in the first place. BP’s work with Kelvin Inc. to outfit wells with sensors that collect massive amounts of data has, over the course of just six months, reportedly reduced methane venting from those wells by nearly 75%, increased production 20%, and reduced costs by 22%. Shell claims that its use of “Smart Fields” has increased the total amount of oil recovered from a wellsite by 10% and of gas by 5%. Despite promising early results of adoption, these innovations have not become widespread across the oil and gas industry. Oil and gas digitization is a trend with no borders, and the environmental benefits of modernizing methane management are tremendous. That’s why EDF is diving head first into the digital methane future. We’re collaborating with experts across the oil and gas value chain, conducting in-depth interviews with subject matter experts and oil and gas companies, and assessing the landscape of methane analytics tools and technologies being used across the industry. Coupled with EDF’s robust expertise in methane science, this initiative will help us understand where the greatest opportunities exist to digitize methane management, as well as the potential challenges. I’m the first to admit we have a lot to learn (for instance: what does it really take to mine “Big Data” from the cloud to feed a machine learning algorithm that can reduce emissions from liquids unloading? )—which is why we’re also looking to companies around the world and those in Barcelona this week—to share their insights, best practices, and support to accelerate the adoption of digitization in methane management. In the coming months, we plan to convene digital transformation leaders from industry, technology companies, data service providers, methane experts, and others to explore a digital methane future and surface partnerships and collaborations to bring best practices to light. In the interim, I’d love to hear from you and find a way to work together. This blog first appeared on the EDF+Business blog.